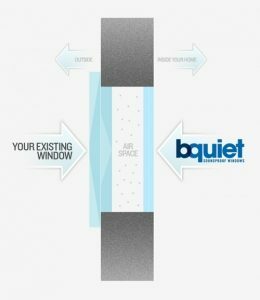 Our soundproof window system is from bquiet. It’s basically a second window placed behind or inside your existing window. The bquiet window will open and close with your existing windows. With our soundproof windows, there is no need to remove or replace your existing windows.